Provident Music Group announced Thursday the hiring of Brian Dishon as vice president of marketing and Jeff Cruz as vice president of promotions for Provident Label Group (PLG). Dishon and Cruz will oversee rosters on the Essential Records, Reunion Records and Beach Street Records imprints, and will begin their new roles April 4. Dishon returns to Provident after a four-year term as multi-site ministries director for Cross Point Church in Nashville. During his previous employment at Provident, Dishon led the label group’s promotions team and served as vice president of marketing. Cruz brings nearly 20 years of broadcast experience to PLG, having served as a radio personality and program director for several stations, including Shine FM, WMHK and Z88.3. Dean Diehl, senior vice president for PLG, commented on the new hires. 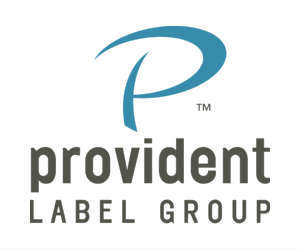 Provident has also appointed Jimmy Wheeler to vice president of sales and distribution and Roxanne Nichols to director of label operations. Wheeler was formerly the vice president of sales for PLG. Effective immediately, Wheeler will be responsible for leading Provident’s sales and distribution functions for all markets. Nichols was previously associate director of marketing for PLG.